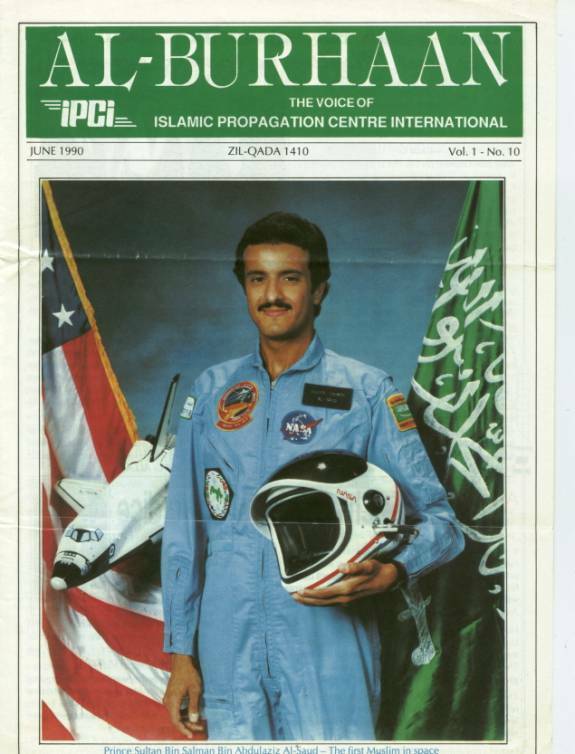 The First Muslim in Space! Prince Sultan Bin Salman Bin Abdulaziz Al-Saud of Saudi Arabia was the first Muslim to go in space. 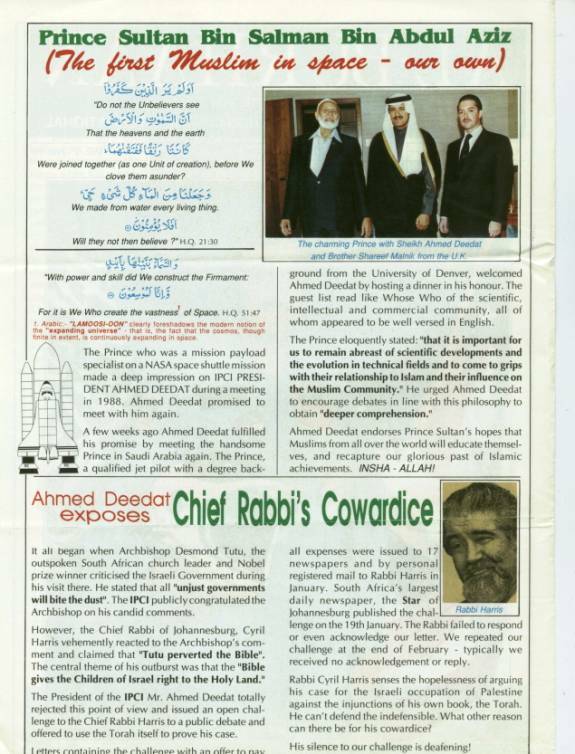 The news was reported on "Al-Burhaan" - a publication of Islamic Propagation CCentre International in South Africa, dated June 1990, volume 1, and number 10. This NASA Space Shuttle Mission actually took place in 1988.